Mountain lions, black bears, elk, deer, ducks and sheep were only a few of the animals on display last year's Moffat County Fairgrounds Pavilion, where roughly 175 people gathered to evaluate entries in the Colorado State Taxidermy Championships. This year's competition takes place on Saturday. 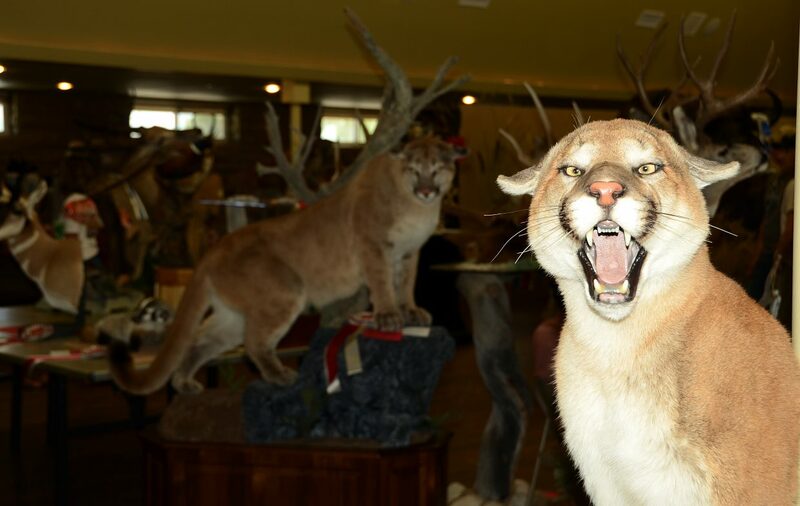 Craig will host the Colorado State Taxidermy Championships for the second straight year this weekend. The best work from taxidermists throughout Colorado and other states will be on display for the public from 10 a.m. to 4 p.m. Saturday at the Moffat County Fairgrounds Pavilion. Taxidermists will enter in the Master, Professional or Novice divisions in a wide range of categories from life-size big game to fish and birds, with every variety in between. The mounts will represent animals from all around the world. The entry fee is $3, and children 10 and younger may attend for free. For more information, call Gayle Zimmerman at 970-629-2065.